Listen… It’s okay. You can tell me, I’m totally cool with it. It’s only natural. You’ve got the skills, you’re right handy around the house and this might just be the dream project you’ve always wanted! I’m talking about ‘Do-It-Yourself Garden Rooms’. 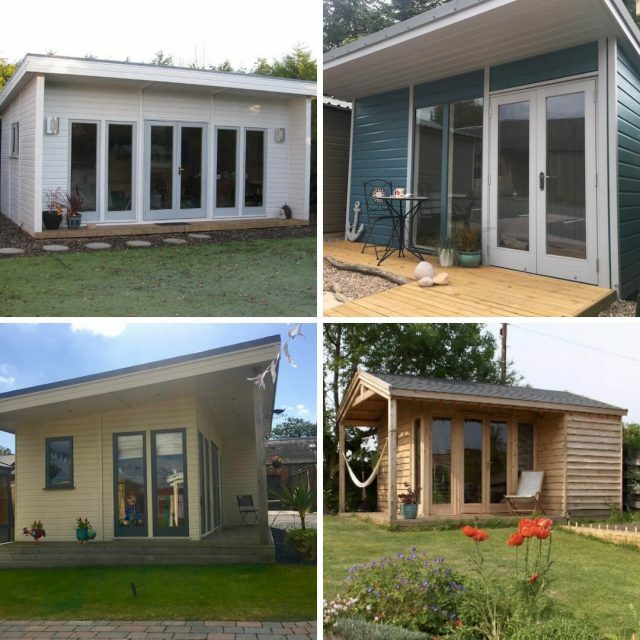 We’ve made 100’s of Garden Rooms for our amazing G&M customers over the past 30 years. So it comes as no surprise when people start to realise the potential of doing some of the work themselves, not least to save a tidy penny, but also because they want to. There are pros and cons, as well as different stages to consider, but we will discuss all of the important aspects in this blog right here, right now! So you can make your own educated decision on what’s best for you, your budget and your ability. 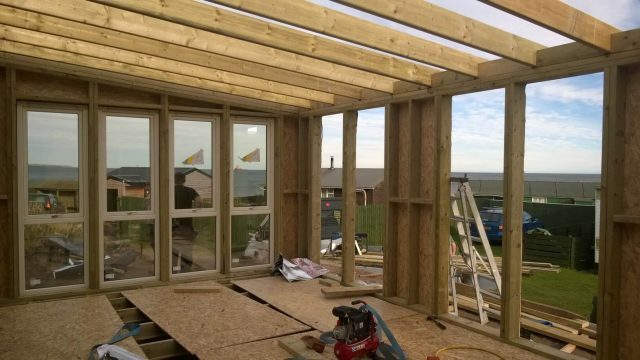 Typically a Garden Room is defined as a fully insulated, lined and double glazed timber building with concrete founds, electrics and possibly plumbing. The process a Garden Room goes through to become your perfect tranquil retreat is quite extensive. Let’s fire through it at rapid speed so we don’t get bored hey? Design – takes ages! You’ll tell me your absolute favourite thing is strawberry milkshake and by the end of our Site Visit, you’ll be supping a peanut butter and banana!! You cannae be trusted and it takes time to get everything JUST RIGHT! 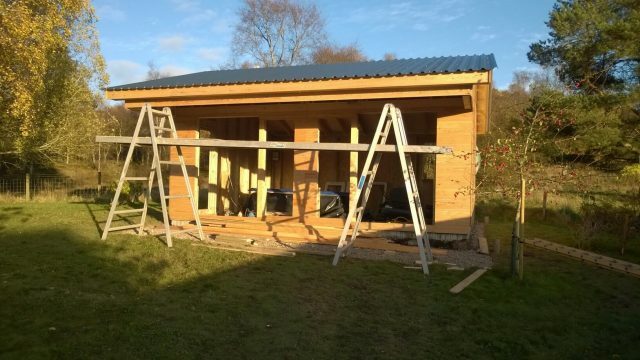 Order Confirmation – once we’ve finished the design there’s a lot of work to be done before the first bit of wood is cut. We’ve materials to order, teams to organise and technical drawings to create. Workshop – In the workshop, we’ll make the body of your building. It’ll take us 3 to 4 days from start to finish, depending on how many windows and doors there are and what size you decide on. We have a woodcutter, a bench joiner and a parts maker all working on your building to make sure the outer body is ready for the onsite deliverers to erect on their first day. Groundworks – G&M don’t do the Groundworks they recommend people who are actually skilled in that profession instead. This means we have more time to concentrate on what we do… Carpentry. The Groundworks is something that we’re involved in as it is very particular to the structure of the overall build, so we’ll tell the base layers how thick and how much we want them to do. The Half Build – This is the first onsite stage for our Joiners. They’ll turn up and erect the full body structure including the roof. That’s the best part – when the roof goes on! Then it’s windows and doors in, building watertight and all set for the next stage. Electrics – The sparky will use the day after the Half Build to rough out what they need in terms of wiring and connections to hook you up good and proper. Internals – The day after the Electrics G&M will come back to fit out the insides. This consists of the Insulation and Lining. We will either line it with Redwood V’d Lining (and if so, finish it ourselves on the same day) or with Plasterboard, which will require an ames taper to finish it in a couple of days time once the Sparky and G&M have finished everything else. Electrics – The Sparky comes back to do all of their finishings, switches, sockets, heating controls, connections… that sort of thing yeah? And while they are doing that we’re finishing off the outsides, facias, skirting and tidying. Interior Decor – This is where you come in usually and sort out all the finishing touches, furniture and entertainment. So as you can see, the process is quite full on. But if you’re interested in doing a Half Build you’ve probably already identified the areas you could come in on hey? Mostly what happens is that people stop us at stage 5 and say alright Sheddies – on your way, we’ll manage from here, which is nice. This means you can sort out your own Sparky or maybe you are a Sparky – even better! It means that if you want you can supply and fit all the internal insulation and lining yourself (or we can supply for you to fit). There is also scope if it’s your trade for you to carry out the base works. 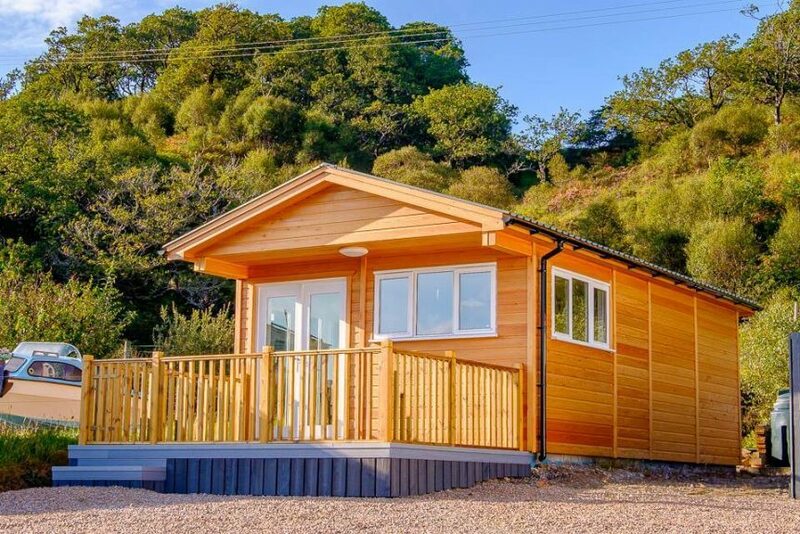 In 2018 we saw a huge rise in the request for The Half Build and the results have been outstanding. From photographers needing their own working space to do frames and prints to holiday lets on the cliff of Lunan Bay! We’ve seen it all. So there you have it… that’s the process that goes into a Half Build. What do you think? Is it something you’d like to know more about? If ye have any questions, ye know where I am  Ask away!